Capital Treasury Services (CTS), the company that links bitcoin businesses to banks in the Isle of Man, is to cut ties with the digital currency sector as of next month. CTS, which is a subsidiary of Capital International Group, currently works with a number of digital currency companies in the Isle of Man, acting as their banking solution. The company is not a bank, but a treasury service, which holds funds for a number of companies across a variety of sectors. It works with banking partners in order to clear customer funds. Pressure from these banking partners has forced CTS to withdraw its services from companies in the digital currency space. The statement goes on to say CTS is no longer taking on any more digital currency companies and will close the accounts of those it currently works with next month. Companies will still be able to receive money for the next two weeks and outward payments will be processed until 14:00 on 15th October. “We will be working closely with those businesses already with us in order to find alternative providers and solutions, and are happy to talk with businesses and provide guidance from our experience in the sector,” the statement says. Eric Benz, of the UK Digital Currency Association, said the Isle of Man government and certain financial services companies are doing everything they can to help cryptocurrency companies continue to operate on the island. “No stone is being left unturned and there is great confidence that new banking solutions will be provided shortly,” he added. Benz stressed that the CTS is still very keen to work in the digital currency space, but it is not able to do so without the support of its banking partners. Simon Hamblin, CEO of Isle of Man-based bitcoin, gold and sterling exchange Netagio, told CoinDesk he has been approached by a number of alternative finance providers in other jurisdictions keen to work with his company. “Britain is making claims about its commitment to innovation, not least in the area of FinTech, and yet, regrettably, the banking industry does not seem to share this commitment,” he said. This week, the Isle of Man is playing host to a bitcoin conference titled Crypto Valley Summit. The topic of banking is to be discussed on the first day in a panel discussion featuring Paul Davis, managing director of Counting House; Jason Field, CEO of Instabill; and Ian Bancroft, managing director of Cayman National IOM. Other speakers at the event include His Excellency Adam Wood, lieutenant governor of the Isle of Man; Bobby Lee CEO of BTC China and Steve Beauregard, CEO of GoCoin. 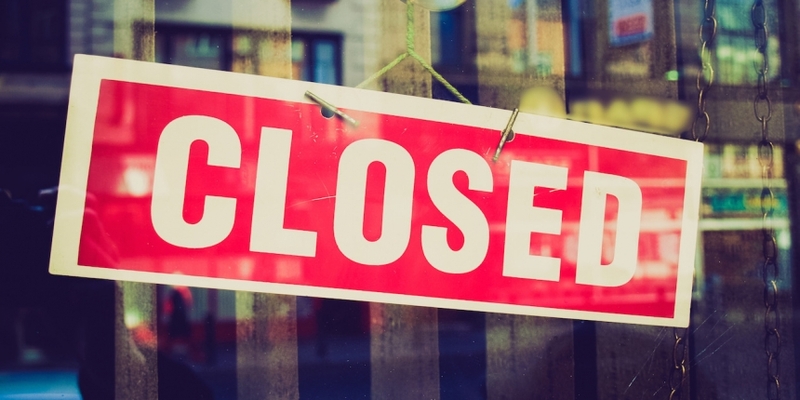 Closed sign image via Shutterstock. Correction: A previous version of this article referenced HSBC and RBS. A source told CoinDesk these banks were involved, but CTS has since informed us that this is incorrect.